A 2015 report by Common Sense, a nonprofit organization that researches the impact of media and technology for children, emphasized that body image is learned early in a child’s development and that while media play a powerful role in developing perceptions about that image, other factors including the cultural group and the communities in which we live, families and individual psychological traits influence that image. 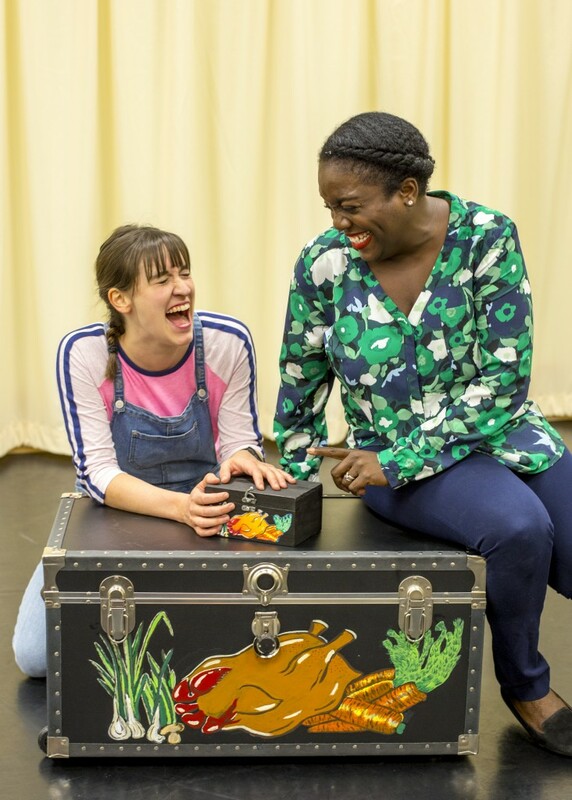 In The Edible Complex, a new play by Melissa Leilani Larson targeted for children in grades 4-6, the topic is explored with Anna, a 10-year-old child who is talented in the kitchen and aspires to be a chef. Larson creates an articulate child who already knows how to express her passion for food. The girl could easily be a contestant on one of the many Food Network competition shows for kids or for Fox’s Master Chef competition. Anna’s culinary literacy sounds familiar to anyone who has ever viewed one of these shows. And in that brief exchange, Anna, a child who already has identified the passion for her life’s career, suddenly wonders if she is dissatisfied with her own body image – and what that might mean for her dream to become a successful chef. The play is part of Plan-B Theatre’s Free Elementary School Tour (FEST), which will hit the road this fall with performances that will reach more than 15,000 elementary students at more than 40 schools in six counties throughout the state, and is supported by an Art Works grant from the National Endowment for the Arts. For the public, the premiere performance will take place Oct. 8 at 11 a.m. as part of the Repertory Dance Theatre’s Ring Around the Rose series for kids. Ticket information for the 35-minute play is here. This is the fourth FEST production for Plan-B. Another cited study that echoes even more closely the story outline of The Edible Complex, found that children, ages 5 to 8, who observed their mothers’ feelings of being dissatisfied with their body image inevitably predicted their own dissatisfied sense with their own bodies. And, the report shows that boys just as frequently as girls are dealing with the same issues of body image and satisfaction. The plays for FEST have been written to augment the curriculum materials and objectives for Utah’s elementary students. For example, Matthew Ivan Bennett’s Different=Amazing dealt with the issue of bullying while Jenifer Nii’s Ruff!, about two dogs in a shelter who become friends, was geared toward audiences of grades K-3 and touched on plenty of lessons about bullying, identity, self-esteem and confidence, and the challenge of stepping forward without fear. 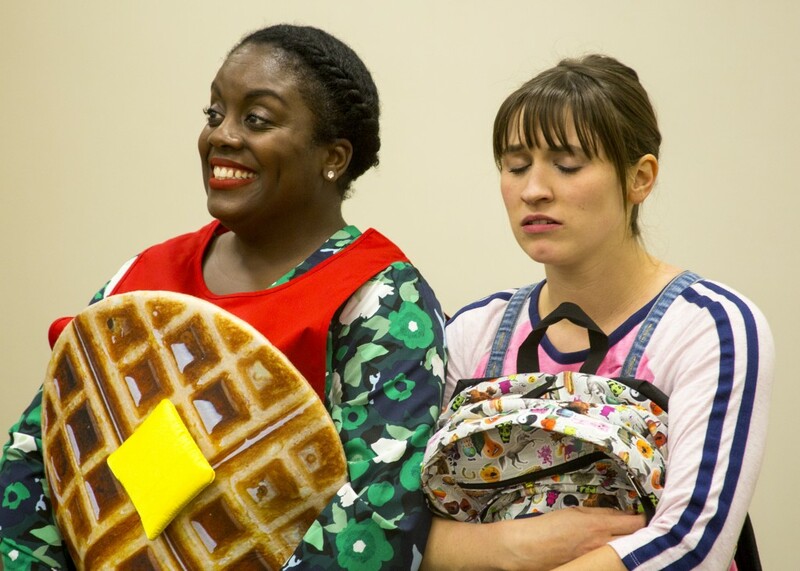 FEST already has lined up plays for the next three years, which deal variously with the topics of grief, anxiety disorders and truth in works by Utah playwrights Elaine Jarvik, Jenny Kokai and Debora Threedy. And, as with the other FEST productions, Plan-B Theatre offers a study guide to help teachers contextualize the play for additional classroom discussion and instruction. As Jerry Rapier, the company’s producing director, explains, while body image is intended as a topic for the health core curriculum, there is a dearth of instructional materials that address sufficiently the issue of how young students perceive and develop their perceptions about body image. Rapier adds the state board of education’s website in Utah only indicates a single but “woefully outdated” lesson for fifth graders. 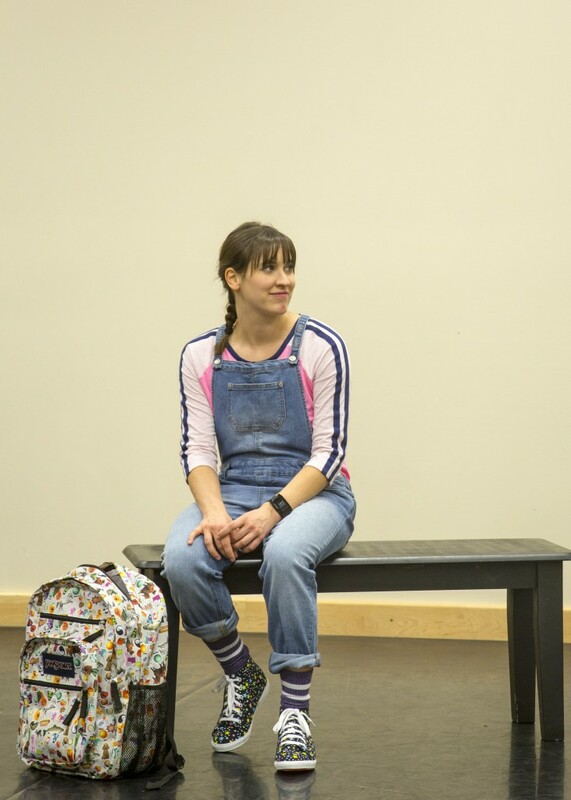 However, Anna cannot stop thinking about food and eventually a whole host of food items appear as characters in the play, advising her to reconsider. Larson offers up a true feast — grilled cheese, waffles, chicken wings, root beer float, apple pie, spaghetti, box of cookies, French toast, fish and chips, taco, cheeseburger, brownies and shish kabobs. As each food visits Anna, the challenge becomes more difficult, especially as the girl finds it increasingly difficult to concentrate on her school work and her stomach and head begin to ache. In the end, both Anna and her mom experience an epiphany that offers up authentic voices of what often is missing in the public discussion about this topic. In Utah, hopefully, The Edible Complex will resonate positively. As Plan-B’s study guide indicates, a 2015 study conducted by BYU-Idaho includes some surprising statistics: 50 percent of nine-year-old (grade 4) and 80 percent of 10-year-old (grade 5) girls in Utah have dieted. Larson’s play also reinforces a larger challenge for teachers and researchers, especially as it affects children who are growing up in a world immersed in continuous exposure to social media. Indeed, there is an encouraging trend of blogs, viral videos and other online content that counters the status quo idealized and even sexualized images of body image stereotypes. Plays such as The Edible Complex remind parents, teachers and especially students that the topic is one which should not be delayed as a teachable moment until high school but as a meaningful way of helping even the youngest students realize that they do not have to gain their self-esteem from unrealistic portrayals or stereotypes of what has been pushed as the ideal body image. 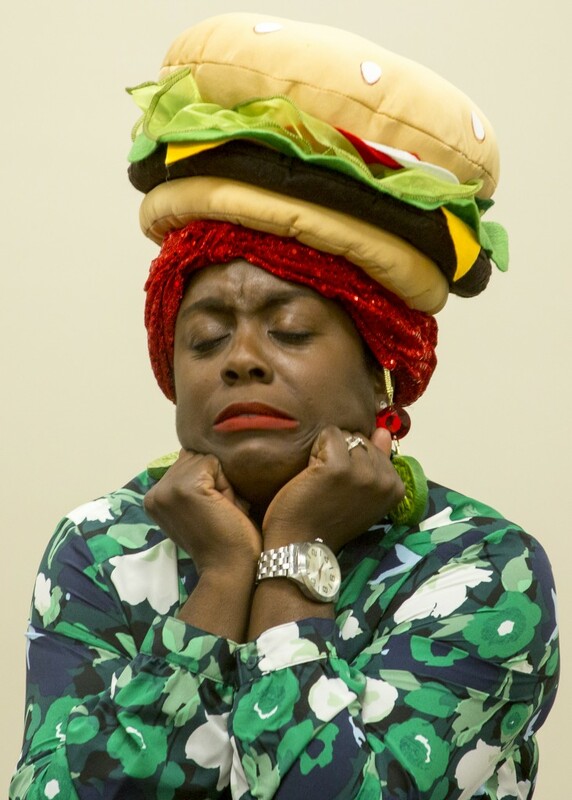 Cheryl Ann Cluff, who directs the production, says that the food characters are not “full-on costumes” for every item featured in the play but that each item has a visual element represented which includes hats and aprons. Aaron Swenson designed the food props and costumes. The cast comprises two actors: Anne Louise Brings and Dee-Dee Darby-Duffin.